This is probably one of my longest blog posts yet, but there was too much beauty from Amber and Jared's wedding day for me to narrow down my favorites any further! 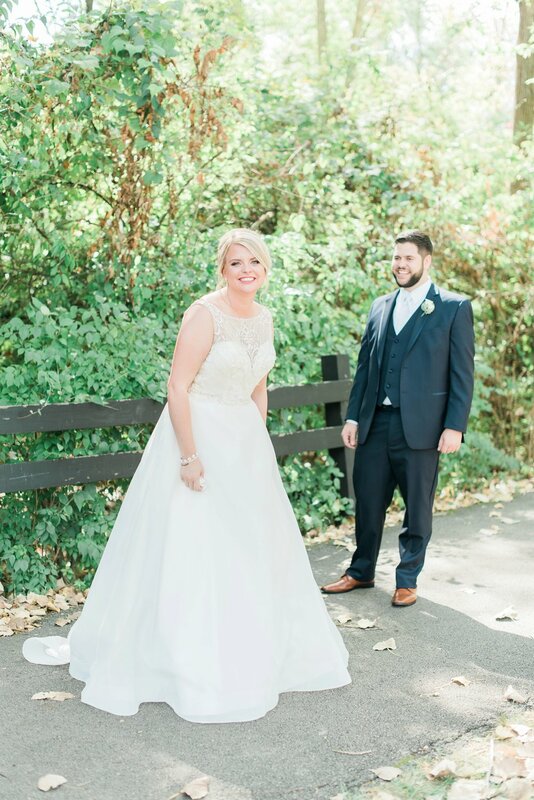 This super sweet couple got married on a gorgeous late September day at the Aladdin Shrine Center in Grove City. The sun was shining, and it wasn't too hot or too cold -- perfect weather for getting married! The morning was a flurry of activity as hair and makeup got done, ties were tied, and boutonnières were pinned. After reading letters they had written to each other beforehand (so sweet! ), Amber and Jared shared a "first look" at nearby Gantz Park. 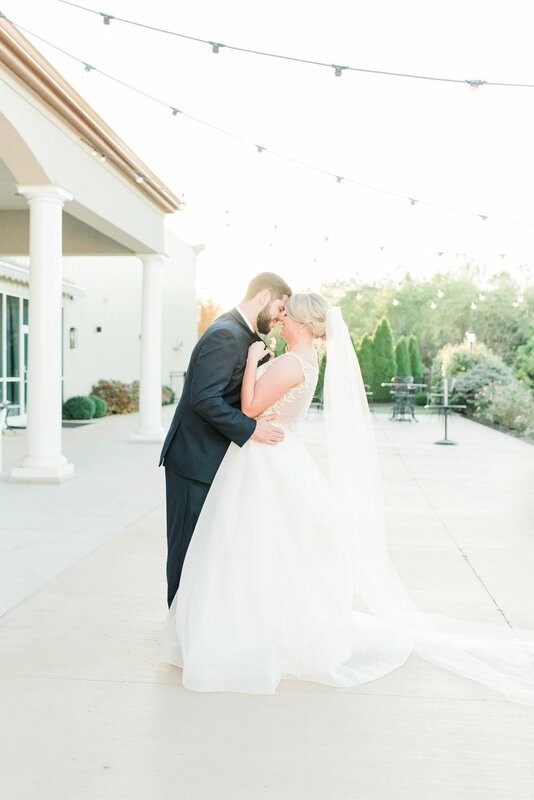 It held everything that I love about first looks -- there were smiles and tears and hugs and "we're getting married!" excitement all around. Amber and Jared planned lots of time for us to take pictures all around the park with their bridal party, which was amazing! Then their trolly took everyone back to the venue, and it was time to get married! Their outdoor ceremony in front of the gazebo at the Aladdin Shrine was absolutely gorgeous. 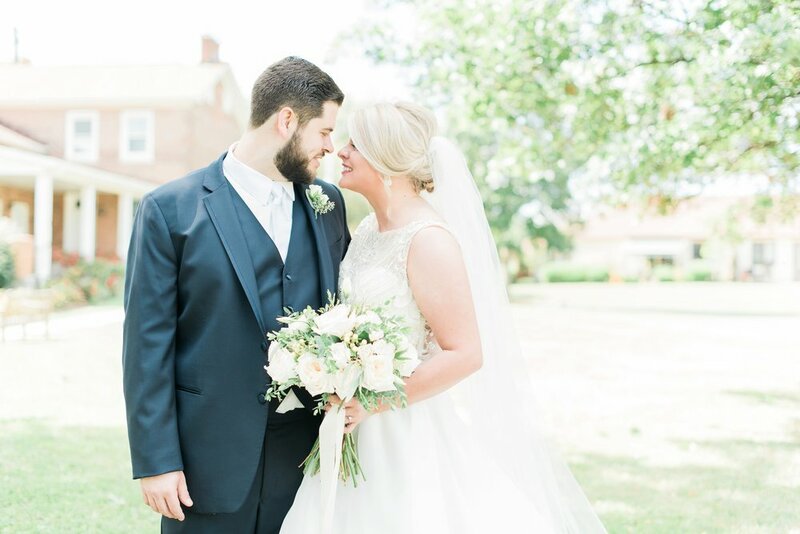 I loved Amber's style -- from her full, beaded gown, to her dainty heeled shoes, to her love of white flowers and eucalyptus, to the beautiful mauve and navy colors she chose for the bridal party -- everything was a dream! She and Jared have such a sweet, naturally affectionate relationship that it is so easy to capture them on camera. It couldn't have been a more perfect day for a more deserving couple! Amber and Jared, thank you SO much for inviting me into this special day in your lives and allowing me to capture all these beautiful memories for you! I hope your first week as Mr. and Mrs. has been absolutely amazing! Click here to see Amber & Jared's engagement session!